Host a party with 8 or more of your friends and you (the host) will receive 30% off your meals! 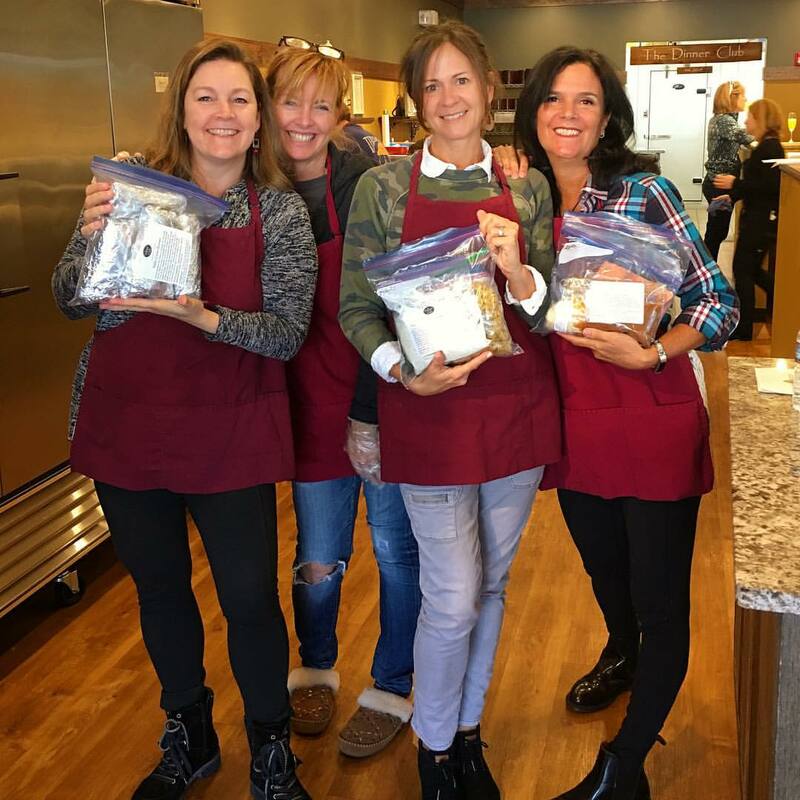 Host a party with 6 friends and you will receive 20% off your order. Plus, each guest ordering a meal package will receive a $20 gift certificate off their next order! 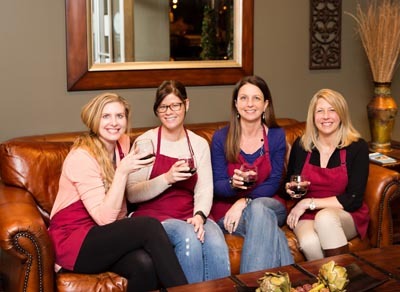 Sign up for The Dinner Club's VIP Text List to receive special offers, alerts about specials and reminders. Plus, simply by joining our VIP Text List, you will receive a special promotion for $10 off your next meal package purchase of 8 or more meals or $5 off a purchase of $50 or more. 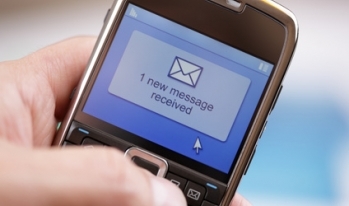 Simply text "dinner time" to 31996, or click here to register now. 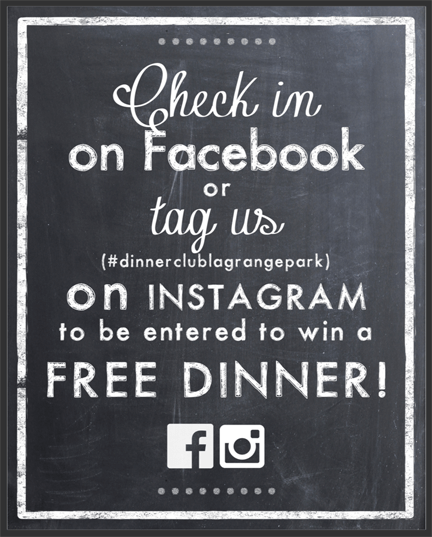 When you visit The Dinner Club, make sure to "Check In" on Facebook or tag us on Instagram using #dinnerclublagrangepark to be automatically entered into our monthly drawing for free dinners! 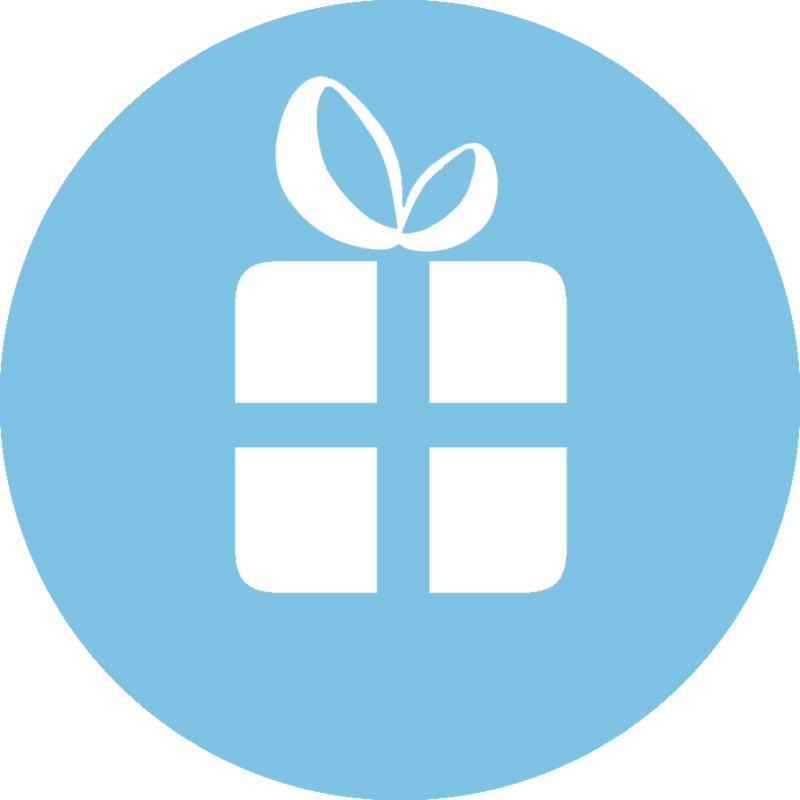 The Dinner Club’s Reward Program allows you to earn rewards from your purchases. Enrollment is free and we make it real easy by tracking your purchases for you. For new customers only, come in and assemble two dinners of your choice for only $49.99 (each dinner serves 4-6 people). Each dinner can be split in half for those customers that prefer meals to serve 2-3 each. Reservations can be made online by selecting the two-meal deal on the order screen. This offer is only valid for new customers. One two meal deal per customer. To order additional meals, please call the store. Additional meals can be made during your visit at our regular individual meal price.